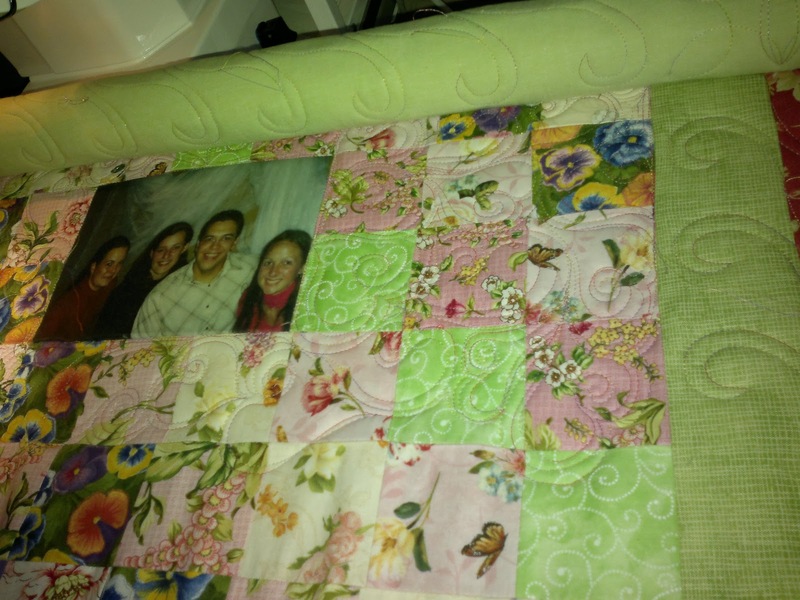 This is Zelda’s Memory Quilt for her Daughter. It has photos on surrounded with beautifull bright colours. 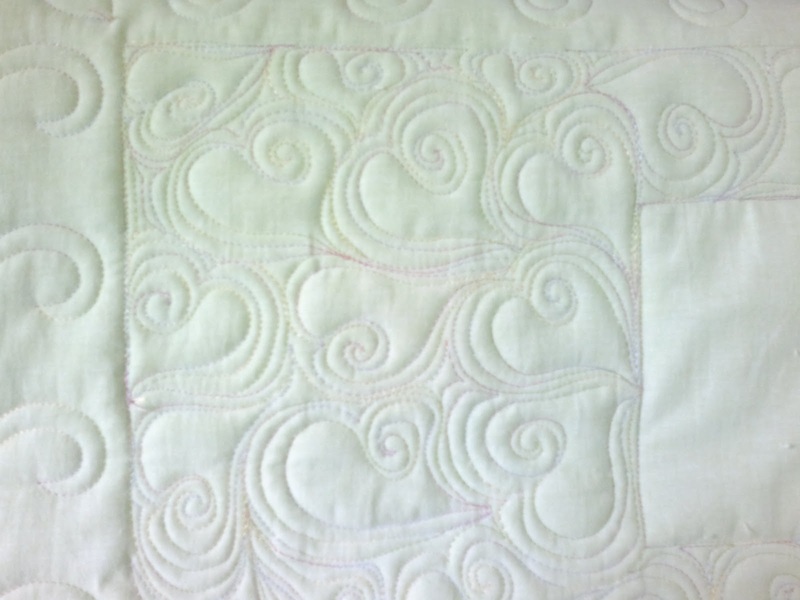 I have quilted it with a freemotion hearts fill and a scoll-like border design. I have done the finishing binding and just need to work away all the loose threads. I’ll take more pics of the finished quilt before it goes to Zelda.